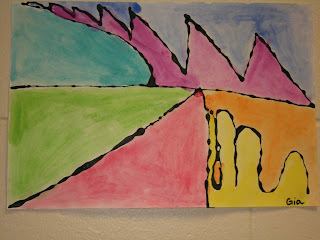 In art class, 1st graders studied different types of lines. 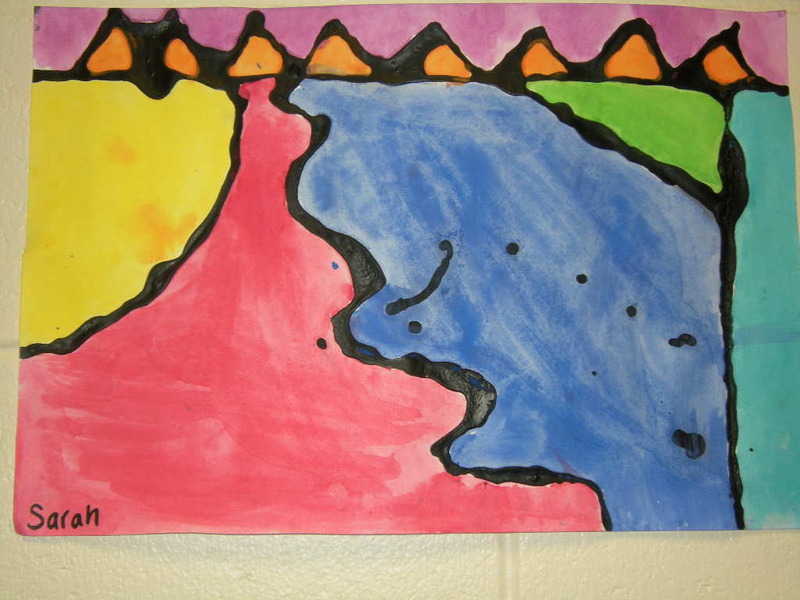 Students created a drawing of lines like zigzag, wavy, curved and diagonal. 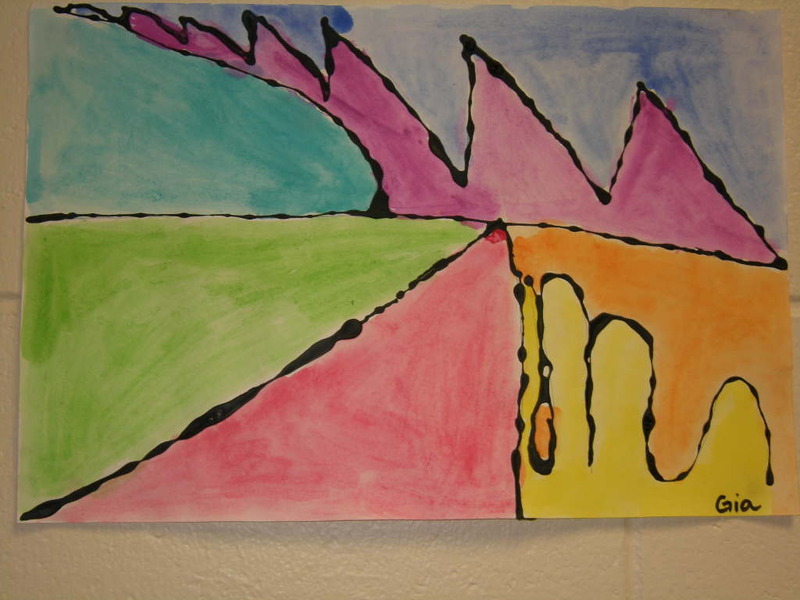 1st graders also know the difference between vertical and horizontal lines. They traced over their drawing with black glue. Students finished their artwork by painting in the spaces with watercolor paints.